I started this blog because I read a blurb some place that said if you want to be a writer then you should write at least 250 words a day on something. The blurb advertised a website that allowed a person to do that. I don’t necessarily want to be a writer (sure would be nice to get paid for what you write though, heh?) but I do like to write and most of what I write has to do with my ministry as a biblical counselor and associate pastor. So what I wanted to do here is write more for fun and about stuff I’m interested in. I figured I could write more regularly if I kept it simple and produce the various blog entries mostly off the top of my head. 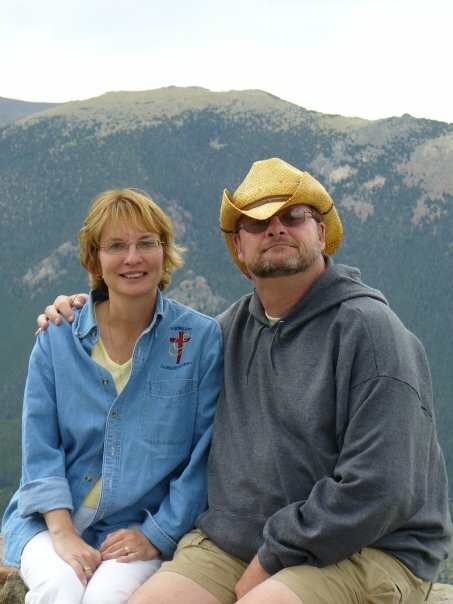 My wife and I in the Rocky Mountains a few years ago. And that’s the way I started out. Once I produced a number of posts I found I was enjoying blogging. I also found it interesting to see which kind of posts received the most hits. I also found that there were some things that required me to “not be so much off the top of my head.” In those cases I wanted to be accurate so I began to include links that could be referenced. The truth is, the more I blog the more I enjoy it but if I’m not careful it could get to be more like a job in the way it takes time. As I noted, my topics will be stuff that interests me and that can vary greatly although I won’t write about everything. While I enjoy the Packers and Brewers for example I won’t blog much about sports. There are tons of great sports blogs out there and really all I contribute is nostalgia and brag about how my teams are doing. I also enjoy playing military history wargames on my Mac and iPad. Current favorites are Order of Battle (WW2), CIV5, Panzer Korps and titles from the Total War series. 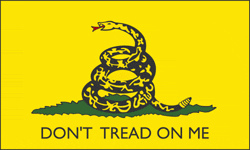 I’m also interested in conservative politics and would fit into the Tea Party category although the Tea Party is not a political party and more like a set of values and principles. I think the US has a great Constitution and I take the not “it’s silly putty” view that means you get to reinterpret it anyway a bunch of judges see fit in order to practice social engineering. For those interested in what that means I’m a Doctrines of Grace (Calvinist) guy but fit into a progressive dispensationalist camp theologically. So, broadly speaking I’m reformed in my theology but narrowly speaking believe there is a special future for the nation Israel. I live in Wisconsin and have been married to the same wonderful gal for 43 years. I have one married son and terrific daughter-in-law. Thus far they have two sons and one daughter in between the two boys in age. I love being a grand-pa! We also have an annoying cockatiel named Abraham. He is annoying because he has an enormous capacity to squawk when my wife is not home. I think it’s birdie separation disorder. I live in Kansasville, Wisconsin. Kansasville is a small town in western Racine County. Prior to our move to Kansasville I lived in the Milwaukee area most of my life except for a year in Boston, MA as a child and in Texas for a brief time in the US Army. I have not traveled much out of the country except for fishing trips to Canada but have been to Poland and the Czech Republic on a mission trip. I think I’d like to have a trip to Britain\Scotland and Germany on my bucket list. Sports team logos because I have to get them in somewhere. Very pleased to meet you, so to speak. Just a matter of sharing…billover70 (bos) confesses with his mouth the divinity of Jesus and believes in his spirit that God raised that Jesus from the dead. Other than that, bos no longer gets bent out of shape over various doctrines of organized groups as long as the central focus is Christ and Him crucified, dead, buried and resurrected. This writing about things resulted from time made available by retirement and personal persuations bubbling from the breast. Pleased to meet you bos. Nice blog, enjoy reading. I will come back to read some more. Blessings, Freddy. It’s a long story but while I’ve always been pro-Israel (not to say they are always right) I was ambivalent toward replacement theology and the land promises. Through further study (John Feinberg’s, Continuity/Discontinuity I’ve concluded there are passages that simply cannot square with replacement theology. I thought your post handled them well. Thanks Freddy. Nice blog you’ve got there! Methinks I shall return here, often. You are welcome. I enjoy British History and some day would love to do Roman Britain. Crumbs that would be a task, we are very lucky in this part of the UK as we are abut a half hour drive from the first Roman settlement in the UK, about twenty minutes from one of the best examples of Roman Villas and there are hints of Rome in almost every town for miles. The closest being Rochester, Roman name Durobrivae. It will be a fascinating project for you one day. Kent? Battle of the Medway, 43 a.d. Might be a great place to start that trip some day! Oh if you could prove where that took place that would be good start for sure. It’s a subject often covered here but nothing is ever given as the definitive answer. I suppose because the river has change so much over the time. Interesting. I know it took a long time for the Teutoburg Wald battlefield to be found. Well, I could always get over to Hastings! Thanks! Excellent blog. Thanks also for the kind words about my efforts. Bruce, I like your new blog! (I think I read your old one, too.) You write well and I’ll enjoy keeping up. Thanks for popping by Al’s War. I’m still researching his insignia so hope to post there again soon. Thank you for the kind words. I’m going to continue to write for both and just want to separate the subject matter a little. Good luck with the research. Probably a lot online. I am not sure how to ask permission to use a certain picture from your website except by posting a comment. I am a student in high school working on a documentary for a World War Two veteran. I am interested in using a picture of a newspaper article that states “Britain and France at War with Germany” in my documentary. Acknowledgment will be given to this website within my ending credits. May I use this picture? I confess to be fuzzy regarding copy rights. There seems to be much in the public domain. The source usually says whether or not the image can be used and if nothing is said, I generally use it. I believe the picture you are asking about was found in a Google image search and I’d be very surprised if it was copy-righted. I do not see a reason for you to not use it. Best wishes. Hi Bruce! Thanks for following History Undusted! You might also be interested in http://www.candlequill.wordpress.com. Great history articles here – I like the wide range you’ve written about! As far as your bucket list goes, don’t forget Switzerland – it’s one of the most beautiful countries in the world, and I have the blessing of living here. 🙂 Scotland is definitely worth a good, long visit as well; I lived there for 4 years, working with my local church and with YWAM. Thanks for stopping by Stephanie. I like the range of topics you deal with as well and like you have separated my blogs. My other one is roedersrants@wordpress.com and is titled Church, State, Faith and Culture. Hey Bruce – just stumbled on your blog post re: the Mongolian Invasion of Europe & mighty pleased that I did! Going to be doing a film with that as the backdrop. You can check out http://www.quarterdeckent.com as well as http://www.marscherlordsfilm.com. We also have an FB page: http://www.facebook.com/marscherlordsfilm. Lots of other stuff on the quarterdeck site too. Take a look, you might like what you find & I’ve assembled a pretty impressive team for the film too. Thank you for stopping by. I have checked out your link and it looks very interesting. I’ll be back and sure do wish you and your efforts well. It’s always interesting when providence comes into play, and happens quite often in my life.I know this is God directed and while I don’t always know the reason, it usually comes out to some extent when I pay close attention. So how do fit in here? Anyway, I suspect you drive past my neck of the woods every time you go to your church. And what I will do is start going over some of your WWII blogs and if I understand them, :o) I’ll share them with my sweetie pie next week. I think he’d enjoy hearing some real history and learning what it’s all about without the sterilization and spin of the public education system. In essence, you were an answer to an unspoken prayer, through a friend, who suggested this to me because she’s a history buff and writer who thinks your blogs are good. Interesting how life works if you pay attention. Thank you for stopping by and the kind words. It was interesting and sad to learn that your grandson knows little real history. I am glad that you might use my blog but some good books could be helpful. If it’s WW2 he’s interested in I’d recommend a fellow blogger’s Pacific Paratrooper. He is excellent. Blessings, Bruce. Bruce, Would it be possible to get a high-resolution image of the S.S. Rhynland from you? I’m just about finished with a family history that I plan to publish in book form and the image I have is pretty bad quality. I lack the knowledge to improve it to 300 dpi, which is what the publisher would like. Thanking you in advance, also thanks for the great article on your ancestors. I find these type of things fascinating.